The number of homes available for sale in October dropped 1.8 percent to 2.13 million. This represents a short 5.0 month supply at the current sales pace. Compared to last year, when there was a 5.2 month supply of homes, October's unsold inventory is 0.9 percent higher. The total housing inventory is dropping, and house prices are increasing as a result. According to the National Association of Realtors, home prices are seeing year-over-year gains in the double digits. The national median home price reached $199,500 in October, a 12.8 percent increase from the same time last year. This is the eleventh consecutive month that home prices have increased. October's existing-home sales dropped 3.2 percent, but overall sales are still 6.0 percent higher than they were in October 2012. What's more, existing-home sales have surpassed the previous year's figures for the past 28 months. In the Northeast, existing-home sales dropped 2.9 percent but are still 11.7 percent higher than a year ago. Despite a decline of 1.6 percent in the Midwest, existing-home sales are 8.0 percent higher than October 2012. The South also saw a drop in sales of 1.9 percent, which is 7.3 percent higher than the same time last year. Despite the overall year-over-year rise, economists with NAR expect to see a "flattening trend" in the months to come. The inventory shortage, coupled with the rise in home prices, will continue to impact existing-home sales. This was the case in the West, where a limited inventory lead to a 7.1 percent drop in sales, 0.8 percent lower than October 2012. To reverse the trend, new home construction needs to increase to meet the demand of buyers. The issuance of building permits was up 6.2 percent in October, due mainly to the multifamily sector. And the growth was not limited to one month; September saw a 5.2 percent increase in permit issuance. The increase should lead to a strong, if gradual, upturn in the housing market over the next few months. But despite the good news, a number of factors could still undermine the housing market―an uncertain political environment in Washington, tight lending criteria for home buyers, and a shortage of building lots and available construction workers. 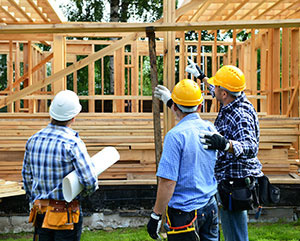 Yet despite labor and lot shortages, builder confidence remains high. The National Association of Home Builders/Wells Fargo Housing Market Index shows builder confidence held steady at 54 in November. This is the sixth consecutive month that more home builders viewed market conditions as good rather than poor.